“There’s no one right way to do it all,” says Shea, a grad student and transgender woman featured in a new video advertisement from BabyDove. Shea is one of several women appearing in the soap company’s #RealMoms campaign, from breakdancers to cattle ranchers, to showcase its line of baby bath products. The video shows Shea with her partner, caring for their newborn son. She introduces herself to viewers by sharing the troublesome questions they face, when people ask how a transgender woman can be a mother. “You get people who are like, ‘What do you mean you’re the mom?’ We’re like, ‘Yep,’” she says. 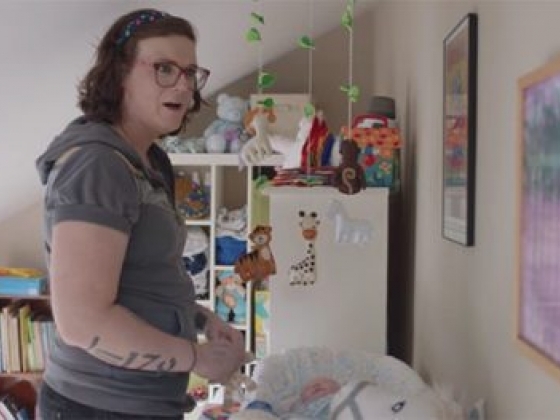 “This might be the first example in an ad of a trans person who became a parent after transition,” wrote Dana Rudolph in her award-winning Mombian blog in which she shared the video Tuesday. She gave Dove props for going the extra mile in being inclusive. I love the campaign’s overall theme of “There’s no right or wrong way to be a mom – only your way.” As one of the other moms in the ad says, “Do what fits your family. And trust yourself.” That’s pretty much the best parenting advice I can imagine.